Credo's Tim Fuller is excited to see you at the ABACC Annual Meeting! Taking place at the World Golf Village Renaissance St. Augustine Resort, join other business officers in higher education for this professional development opportunity. "Only ABACC provides high quality professional development with a Christian worldview perspective. It makes a significant difference to discuss hot topics, current regulations, and issues on your campus with peer institutions who share the same ultimate goal, serving God at our institutions, to the absolute best of our abilities. The ABACC Annual Conference is the only conference providing professional development and networking opportunities specifically for Christian Higher Education business officers." 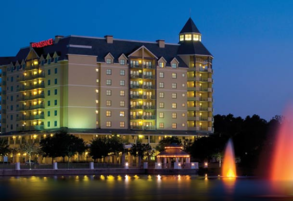 Register, see speakers, and get hotel information at the official ABACC event site.